With a butter knife, poke any mussels that are open. If they close, they are ok to cook. 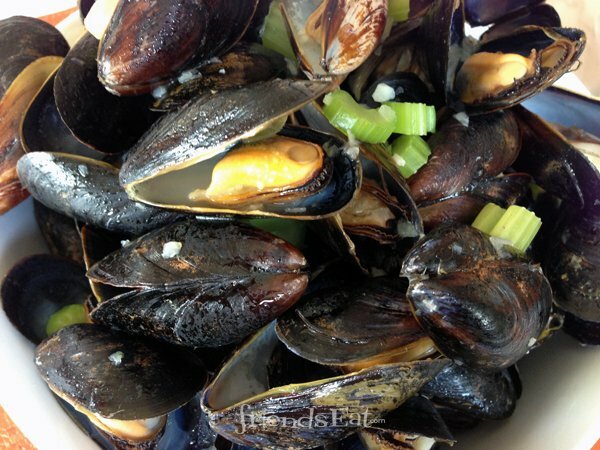 Pour the liquid back into the mussels and when done eating those delicious morsels, soak up with bread.